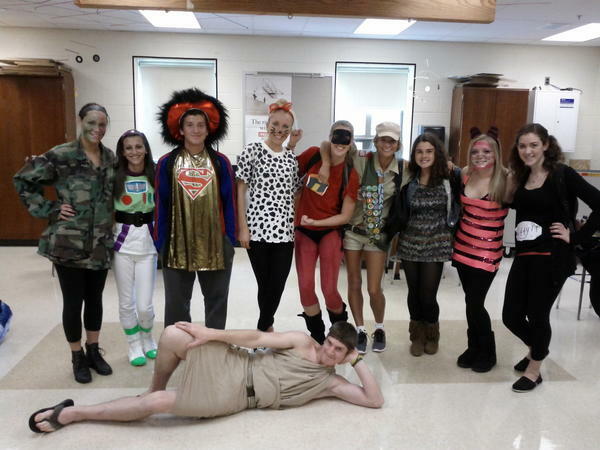 9 My conceptual students are a mix of “getting it” and “not getting it” right now. 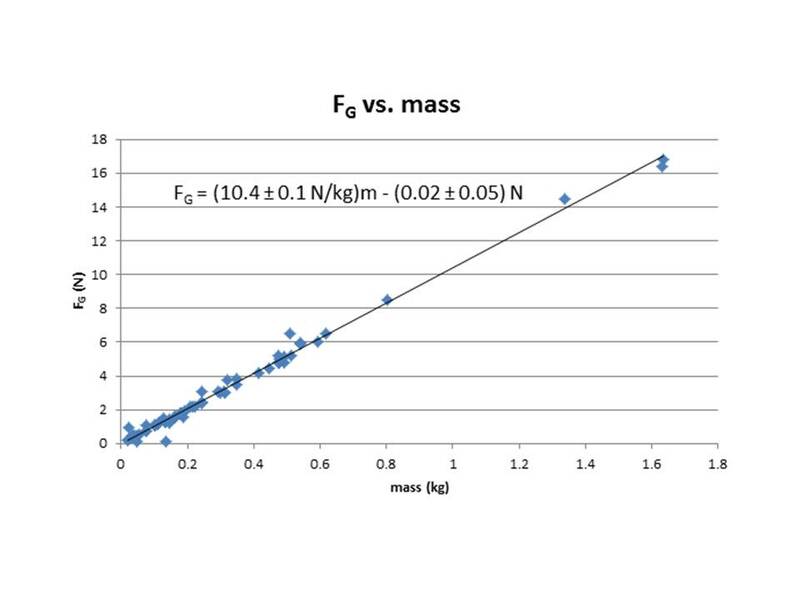 So we did a quick review to get the pattern of variables, numbers, and units, fitting in with the overall pattern of axis labels and titles on graphs. For homework this weekend, they are doing Dan Meyer’s flight data activity and trying to get meaning out of slopes and y-intercepts. I’m grading their circle lab Lab Reports for my homework. 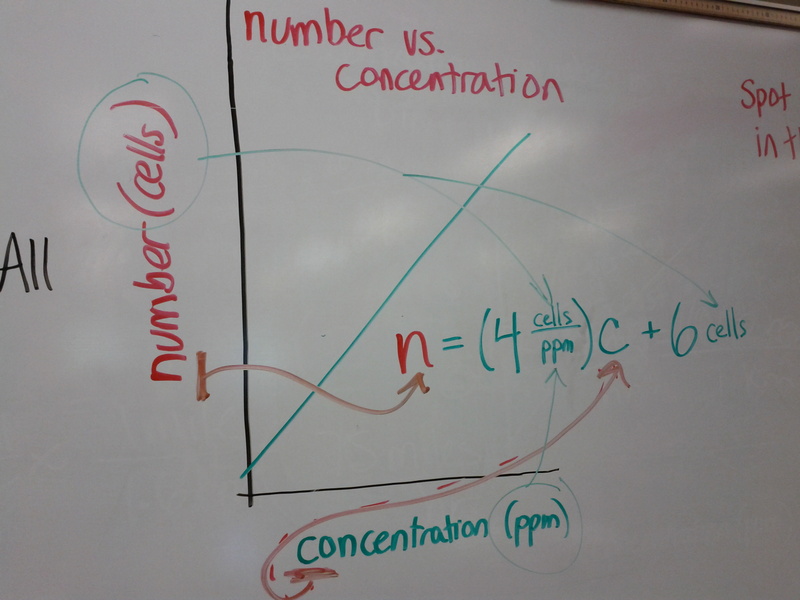 7 This graph originally had some errors. 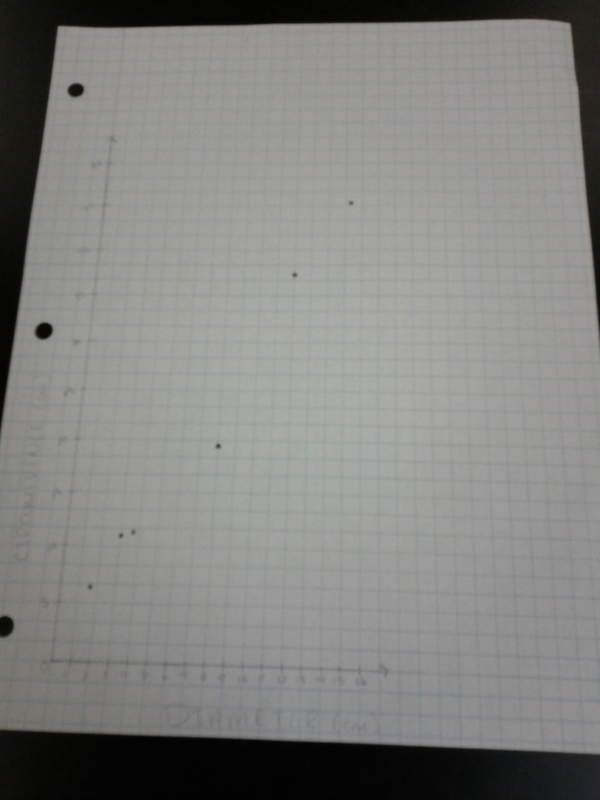 It is based on a linear data set that was one of several I assigned for graphing-by-hand practice. Students spotted the mistakes and we fixed them. 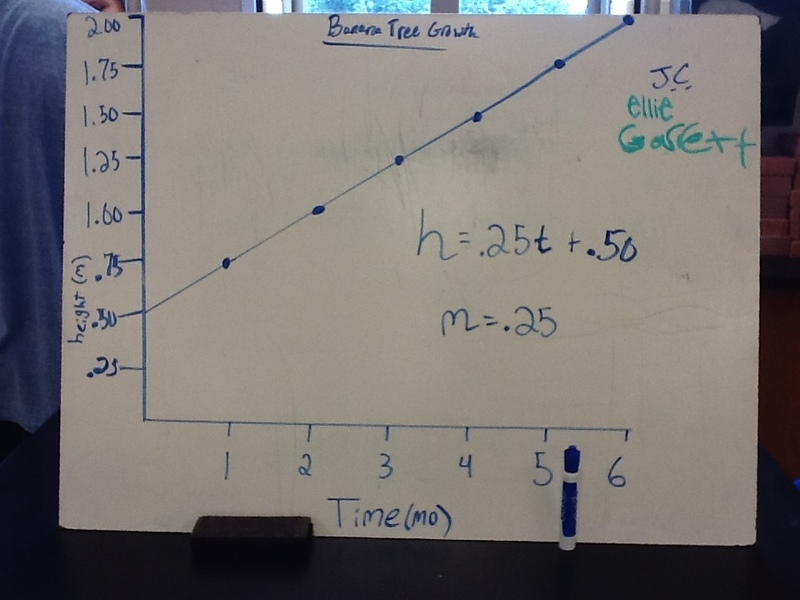 Then as students practiced making graphs in Excel, we referred to this diagram to help customize the trendline equation from Excel. 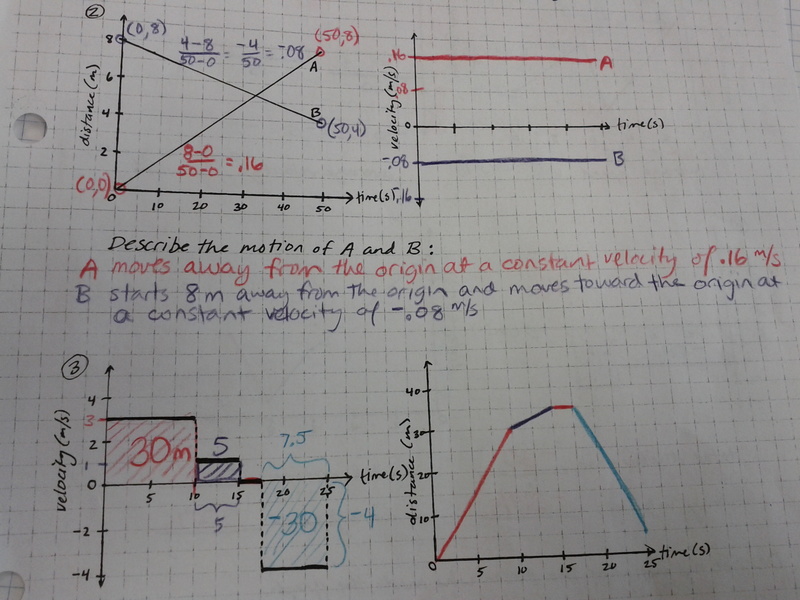 Conceptual students have their first graphing assessment tomorrow. 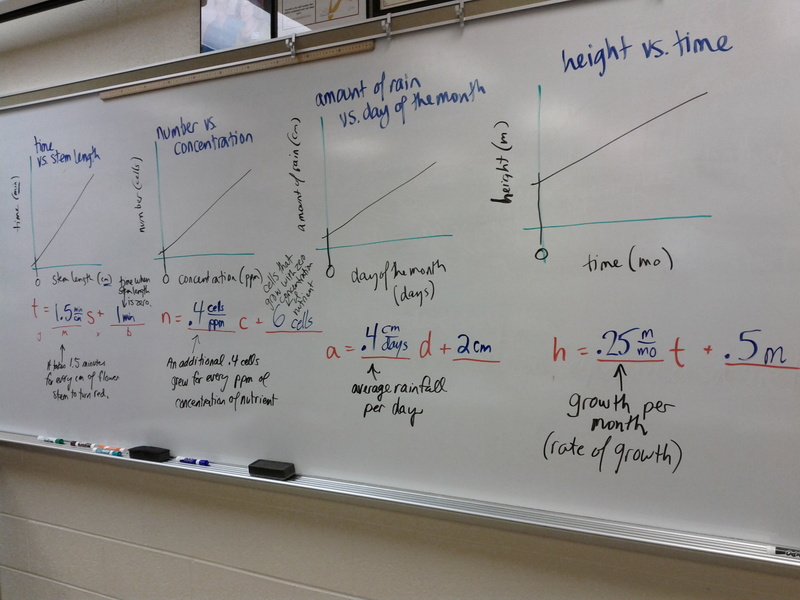 5 My conceptual classes are learning how to determine the slope of a best-fit line and then write an equation with appropriate variables. We’ll be adding units and graph titles tomorrow. I have some linear data that I give them to practice with. This data is prefaced with a little story about an FBI agent measuring her banana tree every month. It grows pretty fast! 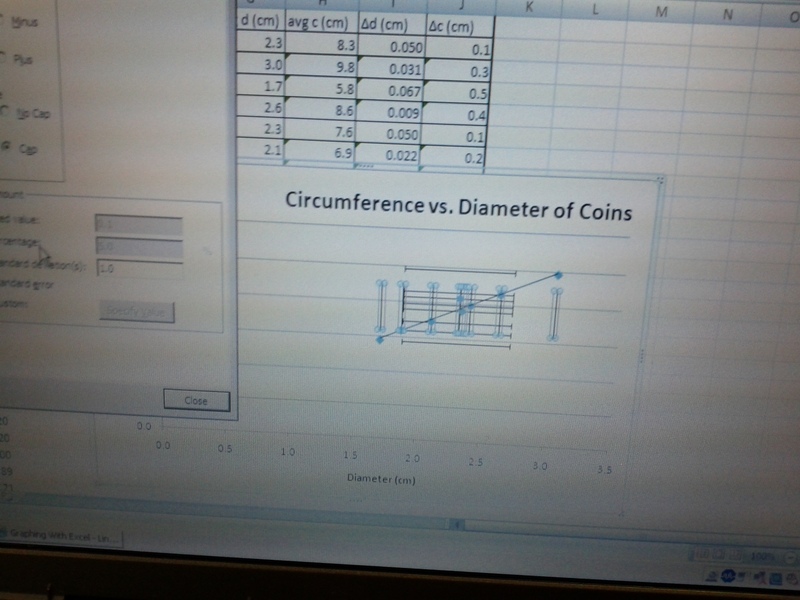 My AP classes are learning to use Excel to calculate uncertainties in measurements and then use the uncertainties for error bars on the graph. 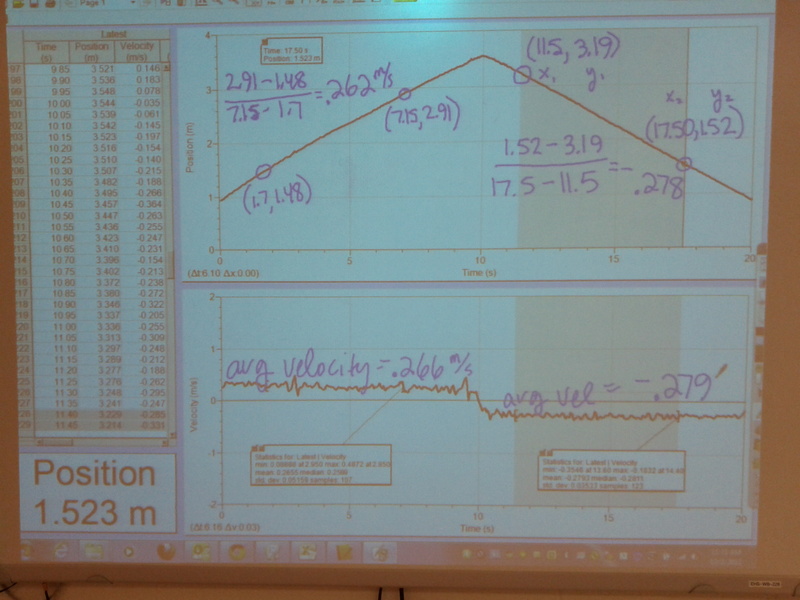 They also have to use the LINEST function to determine uncertainty in the slope and y-intercept. This student has just learned something that doesn’t work, a very valuable lesson! 4 We are starting graphing. Some students are doing great at this and some are not. This is a pretty darn good graph so far. Next week we will be adding a title, best fit line, and an equation. In addition to the graph of data from the circle measurement activity, my students are graphing four other data sets this weekend as practice.